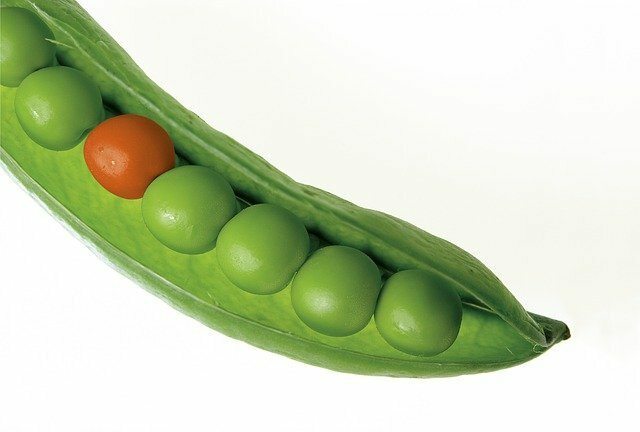 What makes a brand’s content distinctive? If you take a look at some of the organizations with the most successful content marketing strategies, from startups to global businesses, the best of the best are the ones that properly reflect the unique personality of their brand. Sephora’s use of user-generated content – their Beauty Insider Community is impressive and thriving. Nike’s emotive, inspiring storytelling that we will never get tired of. 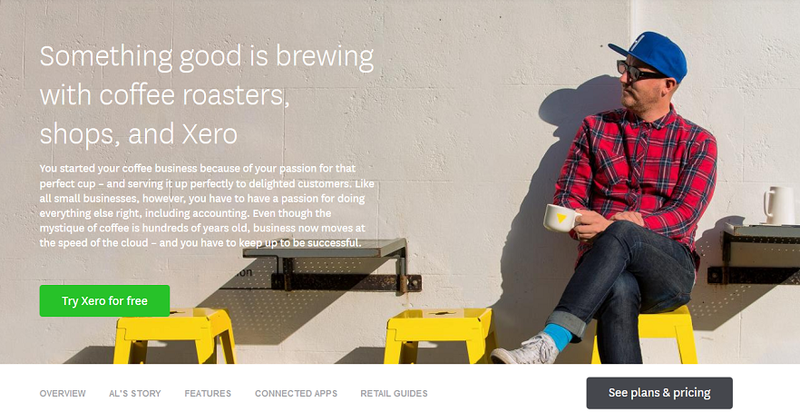 Xero’s welcoming website, loaded with social proof. This accounting software company stands out by creating tailored web pages. Depending on which customer profile a website visitor may be, from creatives to café owners, visitors can view their own, personalized website. Genius. These brands aren’t just good at content marketing. What they offer is unique to their brand. The real secret to digital marketing success – what will attract attention, grow your business and build loyal customer relationships – isn’t in-depth keyword research or technical SEO expertise. It’s not advanced use of your CRM. Nor is it the most expensive influencer campaign or marketing video. It’s imagination. You have to be both creative and cognizant enough to understand what will work for your brand and your target customers. How to create a content marketing strategy that allows the true colors of your brand to shine out? Here are the tips that you can start using now to elevate your content from mediocrity to brilliance. Here’s where your sophomore acting class will finally come to good use. You need to get into the shoes of your brand and be it. See the world through the eyes of Your Company. What does it look like? Sure, a brand isn’t a person. But what it is, is an identity. It has a goal and vision. A system of values. A voice. It also, like other entities, has the ability to change over time, to react, to succeed and fail. And, as such, it has a story. Define this identity. Your organization likely already has a mission statement, a set of core values, and a preferred tone of voice. It also started somewhere and has evolved along the way. Take the time to dig deep into these variables to get a more ‘lifelike’ idea of your brand’s personality. Erika Heald, chief content officer at Arment Dietrich, suggests creating a chart to clearly define brand voice. Start with three characteristics, examine what each means, and designate how those characteristics should and shouldn’t be expressed. You can use a similar exercise for your brand’s goals and values. Why – why does your business exist? What’s the purpose? What happened – what’s the history? What did the founders do to get it going? What challenges came up? What solutions were created? How has the organization responded to each high and low point along the way? Who – who are the primary characters that created the brand, and for older organizations, who have helped it thrive over the years. What does all this have to do with creating an amazing content marketing strategy? Without a crystal clear idea of the brand personality, your organization becomes another software company or another restaurant. It’s generic. And so, the strategy you use will be generic as well. Next, in order to create an ingenious strategy, you need to understand your audience well. 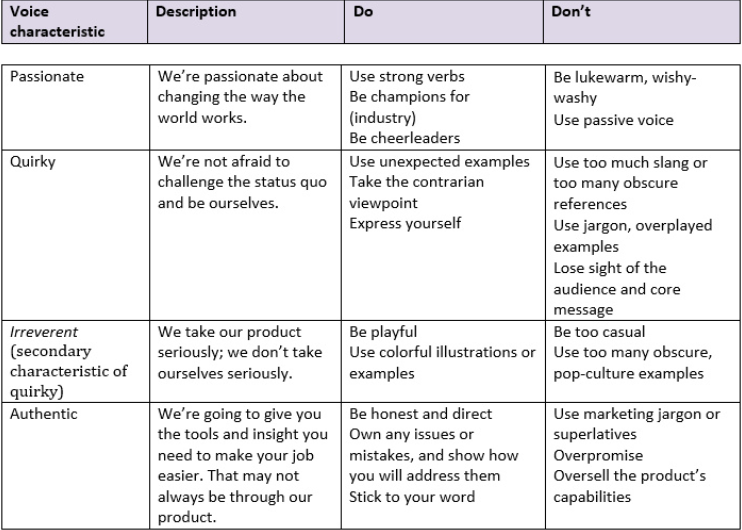 If you already have buyer personas, it’s time to refine them. In fact, most marketers agree, revising every few months or every season is a buyer persona best practice. What are your buyers’ topics of interest? How do your buyers prefer to digest content? What questions are they asking on social media, online forums and your customer feedback surveys and questionnaires? What information do they need in order to reach the next stage of the buyer’s journey? Hard-boiled or sunny side up? Not really, but you get the point. You need to take the time to learn about what makes your buyers tick. To do this you need to talk to your customers, and more importantly, listen. After a customer makes a purchase, send out an email. When a client leaves, see if they’ll give you feedback. Interact on your social media channels. Run social media contests to encourage your audience to share their experiences with your product, suggest improvements, or vote for a style – not only will you engage your customers but you’ll also learn more about what they appreciate and are looking for when it comes to your product or service. And finally, if you want to know how to create a content marketing strategy like none other – study content marketing. Take a look at brands that have launched successful marketing campaigns with their content. Look at popular blogs in your industry – what makes a popular blog different than others? What are other industry brands doing in terms of in-person events, webinars, video, branded apps, and social media? Examine successful brands, in your industry or outside of it. How are they interacting with their customers? Would you read/watch/listen to their content if you were in their market? Why or why not? Follow sources of the best in digital content like Ad Week’s Brand Marketing section and the Webby Awards. By staying abreast of the latest content marketing trends and paying attention to what the possibilities are, you can then go back to the drawing board inspired and aware of all the possibilities that can happen when a content marketing strategy is infused with imagination. Armed with a deep knowledge of your brand’s unique personality, the nuances of your audience, and the endless possibilities of great content, you are ready to create a killer content marketing strategy that will make your brand stand out, generate demand and drive growth.